The G. Gounaropoulos museum presents, from 4 March until 4 April 2015, the exhibition “One poem, one image”. 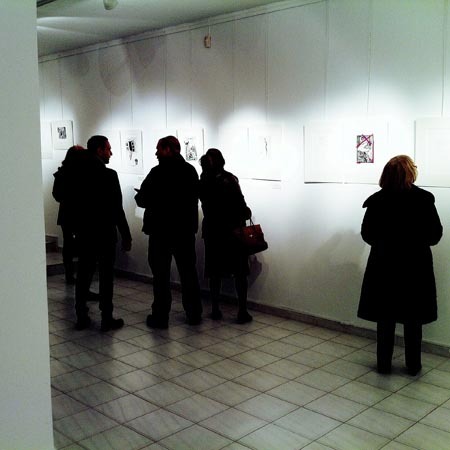 Presented in this exhibition are twenty original prints created by twenty contemporary Greek women printmakers. Each print was inspired respectively by twenty poems written by contemporary female Greek poets. The artworks that will be exhibited are visual readings of the poems and together with these, compose an art folio, titled One poem, one image. 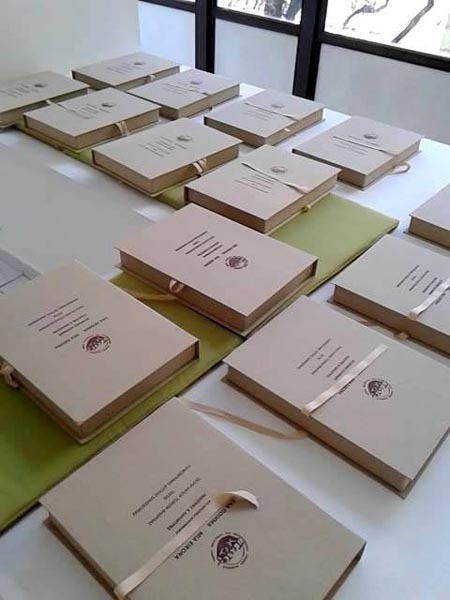 Contemporary Greek poets and printmakers, that was published by the School of Fine Arts of Florina, University of Western Macedonia. The initiative for the cooperation between the printmakers and the poets belongs to the Printmaking Studio of School of Fine Arts, Florina, and was held with the support of Mandragoras magazine. The art book will be released as 100 numbered copies. 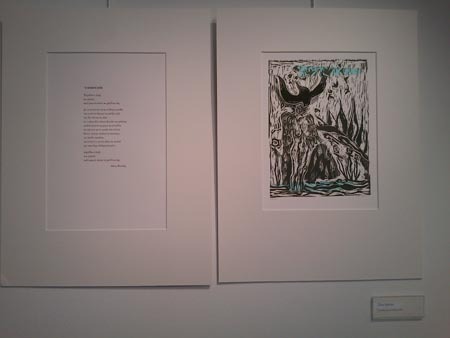 The prints were printed manually and the poems set with using traditional typography methods. Ifigeneia Avramopoulou, Eri Agriou, Kalianthi Vogdopoulou, Georgia Damianou, Anna Maria Theodoroglou, Evagelia Karastergiou, Sofia Kevrekidou, Aikaterini Labropoulou, Anastasia Mikrou, Irene Mnatsakanian, Iro Barou, Olga Bogdanou, Chrysoula Xineli, Aggeliki Papamichail, Elena Provata, Elena Dimitra Roumani, Dimitra Siaterli, Rania Shoretsaniti, Fay Tzeli, Alexandra Tsitsinta.